Diatomaceous earth is a natural fossilized form of a protest that contains minerals in rock form. Diatoms are living algae that remains on the surface of bodies of water like lakes and ponds. Their cells are spiny and sharp because they are made of silica and other minerals. Taking diatomaceous earth internally can provide your body many benefits due to the diatoms’ fossilized cell structure and mineral content. Some people wonder why you would want to eat this clay-like dirt, so what is diatomaceous earth for your health and what are the benefits of using it as a supplement? A microscopic view of one small diatom. The edges are very sharp and can “sweep” your intestines like a brush. They abundantly live in most bodies of water and can make up the foundation for every food chain as a producer. When they die, diatoms sink to the bottom of bodies of water and can sometimes build up layers of earth. Sometimes, a body of water will dry up and masses of fossilized diatoms will remain in its place. This is where it is collected for commercial use. What is Diatomaceous Earth for Your Body? Help keep regular bowel movements. The cleaning action done by the diatomaceous earth will allow bile to more easily pass through the digestive tract, leading to less constipation and smoother bowel movements. Assists colon health. Diatomaceous earth will treat and prevent polyps and ulcers. Many people spend much money on colonics while this natural ingredient can inexpensively do the same thing. Promoting better sleep and increasing energy. The increased nutrient absorption can allow for more restful sleep and more cellular energy available to the body. Curing the root cause of allergies. Sometimes, allergies are caused by a buildup of material in the digestive tract. Other time, they are caused by live parasites that inhabit your bowels. Diatomaceous earth will treat both. The majority of humans living on the earth right now have a deficiency in silica. This is because soils have eroded and the plants we eat as fruits and vegetables are unable to absorb silica from the soil. This translate into a worse diet for the future exponentially. The amount of silica we get from foods is nowhere near what it should be naturally. We all need to replace silica in our body with supplementation. Many “hair, skin and nails” supplements will incorporate diatomaceous earth in its ingredients because supplementation in silica will provide almost immediate improvement in hair, skin and nails. After starting supplementing with diatomaceous earth, the second day of taking it, I could notice that my nails were shiny, strong and free of hang nails. My skin improved noticeably about a week after that and then my hair improved in quality a few weeks after that. What is Diatomaceous Earth for Detoxification? This product isn’t intended to treat or cure anything, so it may be required that diatomaceous earth will at least help with your conditions. This supplement can be used to absorb heavy metals like mercury in the body so that they can be eliminated. It may also be used to cleanse the blood of endotoxins produced by live bacteria, organic pesticide residues, and drug residues. 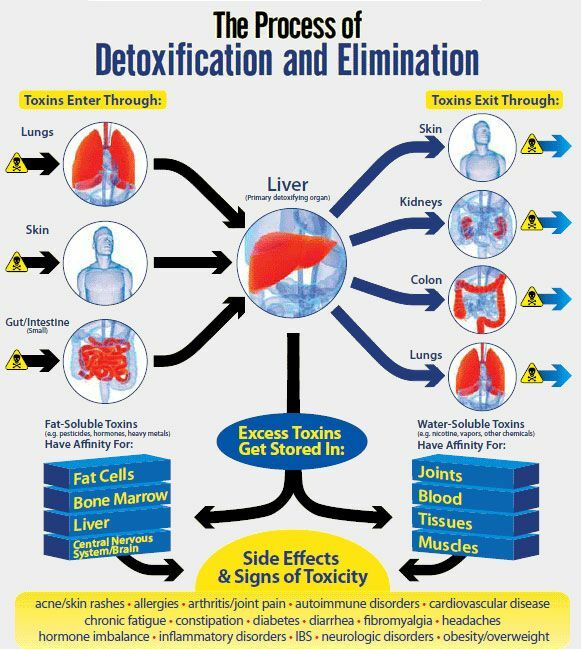 Detoxification has unlimited benefits for the body. The body’s cells bioaccumulate toxins when there is an overload of them in your bloodstream. It requires extensive cleaning measures to be able to get rid of them. Supplying your body with what it needs from diatomaceous earth can start the detox process. Detox symptoms are generally symptoms that you usually experience, but magnified. Once these symptoms go through a period of severity, they will diminish rapidly and you will be healed of these symptoms for the future. The root cause of them is being treated by diatomaceous earth. It’s important to not give up or think that diatomaceous earth is doing harm to your body. By giving your body detox reactions, it is doing it a favor. You will just, unfortunately, have to suffer for a short while. If the symptoms are too intense, don’t be afraid to lower the dose of diatomaceous earth to reduce the severity of symptoms. There is no need to go at it all at once. It takes time to heal your body. They will only provide a small amount of silica due to the state of our soils as long as they are raw and organic. Food sources can be a great source of silica because it will be bioavailable and attached to other enzymes and nutrients that maximize absorption. Silica is important for helping the cells from our bodies remain permeable: allowing things to easily pass through (nutrients and waste). What is Diatomaceous Earth for Parasite Cleansing? This site is dedicated to informing readers about parasites, their frequency in the population, their effects on health, and how to cleanse them. They are extremely common in the entire human population and their symptoms are very subtle. They steal your nutrients and defecate inside you, causing so many health problems and systemic inflammation. You can ingest parasites like worms by ingestion of their eggs. Tapeworm eggs can commonly be found in undercooked meat, sushi, meat infected with tapeworm larvae and under washed produce. Chronic digestive problems like gas, diarrhea, constipation, nausea, leaky gut, and yeast infection. Mood problems like anxiety, mood swings, nervousness, depression, confusion, restfulness, etc. Sleep problems like insomnia, teeth grinding, bed-wetting and nightmares. Weight and appetite issues like weight gain, loss of appetite OR insatiable hunger. Muscle and joint problems like pain, cramping, numbness, etc. Sexual and reproductive problems like impotence, erectile dysfunction, PMS, urinary tract infections, fibroids, menstrual irregularities, prostate problems, etc. Excessive saliva, sight degeneration, bad breath, and other illnesses are also symptoms. Many more symptoms are possible. These are all symptoms that are a result of a nutrient deficiency. The health problems created by parasites are caused by them stealing the nutrients in your food. It’s very important to get rid of parasitic infection in the body. This bag of diatomaceous earth really works for me. It’s such a great price and lasts forever. Click the image for a discount! It is very disgusting but intestinal worms in humans is very common—even in people that don’t eat sushi or eat a vegetarian diet. This is because they are so easily spread. Parasites can be exchanged through hand touching. The best way to take diatomaceous earth is with water. You should mix a small teaspoon of the powder with water and drink it on an empty stomach. What I like to do is mix a teaspoon of diatomaceous earth with whey protein powder in water after I exercise. It masks the taste very easily and the natural salty-mineral flavor goes well with the protein shake. What is Diatomaceous Earth for Your Health? This natural supplement has so many health benefits and can revolutionize your health. Ever since I have started taking it, I have noticed benefits all over my body. My nails have gotten much better in quality. I constantly get asked if I get my nails done because they look like they have a top coat on, but it is actually natural nail health. My skin is also much clearer and smoother after taking it for a while and my hair is softer and shinier. This is a great supplement for beauty. Don’t be afraid of possible detox reactions. In fact, hope for them because they mean that your body is cleaning itself for a healthier, more functional future. The symptoms that I dealt with for a few days were belly bloating, diarrhea, and headache. My favorite brand of diatomaceous earth is this one. It is such a great price for the amount that I get. This one bag has lasted me almost a year now. You must make sure that the diatomaceous earth that you are ingesting is food grade or else it may be filled with other pool and garden chemicals that may poison you. I am always here for you, so if you have any questions or something to add about what diatomaceous earth is for your health, please leave me a comment! I have been doing research on diatomaceous earth and some people say to start with a teaspoon and work up to a tablespoon per day. I am taking a tablespoon per day and I do not feel any ill side effects, in fact I feel pretty good, and my hair is growing like a weed! What is the exact amount to take, and does it differ for various ailments? It’s cool that higher amounts don’t seem to affect you adversely. I know that for me, it could dehydrate me in those amounts. That’s why I’d stick to maybe half a mg per day. Diatomaceous earth does make your hair and nails really nice though, doesn’t it? For Bed Bugs, sprinkle a very thin layer under your bed, on you box spring, around the walls, even under you sheets and coat your mattress. Be careful to make a thin layer so you do not create dust when you get in the bed. Breathing DE will cause respiratory issues. Also, get bed risers and put the DE where the feet of the frame goes into the riser so the bugs have to walk through it to get to the bed. I have seen people use bowls, but the risers will keep you covers off the floor. Make sure the DE is thin so the bugs will not go around it. When the bugs walk through it, it sticks to them. The more they try to remove it the more damage it does. The DE breaks their exoskeleton causing them to die from injury and dehydration. If the carry it to their nest, it will also injure others. The effect is not immediate, but the beg bugs will start to die off and will not multiply. DE also will works for ants, but they are not attracted to it. Will DE work on Giardiasis? That’s a good question. Giardia is really a protozoan parasite, rather than a multicellular animal parasite like a worm. The whole reason why diatomaceous earth is good for killing intestinal worms is because its hardness has the ability to destroy the worm’s tissues and dry them out. It won’t do this for giardia because it is much smaller and can’t really be physically destroyed. I’m sure that DE helped with the infection, however. It might be best to try another method for Giardiasis. Thanks for visiting! Thanks ton for the Article and sharing the best brand of Diatomaceous Earth. I’ll purchase it and use it. Really facing hell with parasites, I believe now i can destroy them. It is available in Amazon, I’ll order. Thanks A LOT again!!! Did the DE work for you parasite infection? I’ve got Candida from parasites and am about to try this treatment. Can you take the de with Organic MSM Crystals as well? Yep, they worked well together for me. Don’t take too much of each though and I would separate the dosing. A common detox symptom for me is bloating and this combination of MSM and DE caused that when taking too much at first. But they are highly effective together and you will see the results in your hair, skin and nails. All I know about DE is its the only thing that got rid of a horrible infestation of bed bugs! Those things are a nightmare and DE was a dream come true! That’s really interesting. I knew diatomaceous earth worked wonders for intestinal parasites, but I’ve never heard of using it with bed bugs. Can you please explain to me how you dealt with them? Interesting. I’d never heard of Diatomaceous Earth before, but your article and review goes into a lot of detail. It stands to reason that skin and hair would look and feel better after a proper detox. One can only imagine how much junk we’re pushing out of our systems through pores of our skin. You’ve outlined a lot of great potential benefits! A lot of people don’t recognize the skin as being an organ of both protection and detoxification. If you start taking DE, you will be putting much less strain on the other organs of your body, like skin, to eliminate toxic waste. Thanks for the input! Very nice article as yes d.e. does have amazing uses. However I have learned something new as I did not know it could be taken internally and do the things you claim. As for the silica yes we are deficient in this and pretty much all minerals as our farming soils are quite bare. Wild foods do have more minerals then our commercially grown counterparts and if you have a backyard garden and do not amend the soil properly with minerals, you too will grow empty food. As the food will grow but will be empty of the basic needed minerals. So to supplement with d.e. is brilliant. Yet for the parasites, dry yes I can see how this would work but when ingested it is not dry anymore and the sharp edges that destroy bugs and parasites will no longer be present as they will be encapsulated with our saliva and other fluids. I am surprised that taken orally d.e. will still have such effect. Do you have any links to pertinent studies on this? If so I would love to read them. Thank you for your time. That’s actually a great point that I did not consider. I think that most other health bloggers like to think that the sharpness of the diatoms is assisting in the killing of parasites, however, it may be another property of the material that does the parasite killing. I think we all like to imagine that these ugly creatures are being eviscerated, though. I don’t think there are any studies to prove that this is the mode of action, but it just makes perfect sense to me. I’ll look into it and post about this in the future. Thanks for the input! I didn’t know that diatomaceous earth did all of those wonderful things. I’m so glad I came across this website, now this will be my go to site in the future. I learned a lot reading your article. I recall very little about diatomaceous earth from my days back in college. But nonetheless, very informative. I do suffer from hair thinning and brittle nails and my dermatologist recommended Biotin supplement (which I’ve been taking for almost 90 days now but I do not see much of improvement). I’ll ask the dermatologist about switching to diatomaceous earth supplement and see if that works better. Yes, diatomaceous earth would be a great supplement for you. Silica is a nutrient that a lot of people are deficient in due to poor soil quality. This may be your issue. DE is made up of 80% silica and you will likely quickly see results within a few days. Nice. I heard minerals are very good for you, but I’ve never read in depth about it until I found this information. You definitely have lots of knowledge about this subject and I can trust you with this. That one bag really lasts you for a year? I wouldn’t mind taking it if it really helps like you said. Diatomaceous earth is made of silica, which can be very useful for anybody because silica is so scarce in our diets due to poor soil quality. 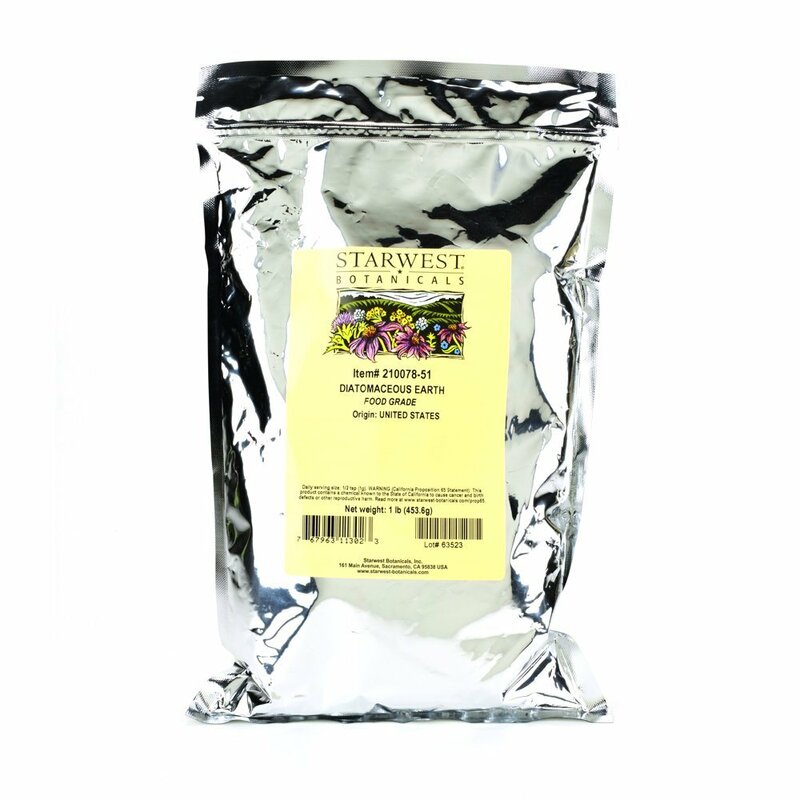 The bag that you get is about 1 pound and you usually consume a small tablespoon of it every day. It could even last you 3 years. Very informative and interesting….except for the part about tapeworms…lol. I have never heard about diatoms or diatomaceous earth and I have been through high school and college. Well we live & learn. Our health is robust yet fragile. There are so many variables at play and an imbalance in one can have a chain effect, good or bad. Is this material good for hypertension or diabetes? Are there any side effects we should be concerned about? You got me interested and I’ll sure mark your page and also look further into this subject. This supplement is great for silica deficiencies, which can be the cause of many problems. It may help in treating diabetes or hypertension, but it has not proven to be significantly helpful in research, so I’d recommend something else for that. As for side effects, DE can dehydrate you so you’ll need to make sure that you don’t take more than a tablespoon.